Tim Cook has a pretty simple explanation for why Apple removed most of the podcasts and an app from Infowars founder and hatemonger Alex Jones from its directories, setting in motion a chain of events that ended in the conspiracy theorist being fully or partially banned from virtually every major web platform: Everyone can agree Jones is terrible. In an interview with Vice News Tonight’s Elle Reeve, Cook said that getting rid of Jones’ content was a matter of content curation and reassuring users that humans were actually paying attention to what ends up in Apple’s content ecosystem. He also denied the company was responding to any kind of political pressure or that he had ever coordinated his response with executives from other tech companies. 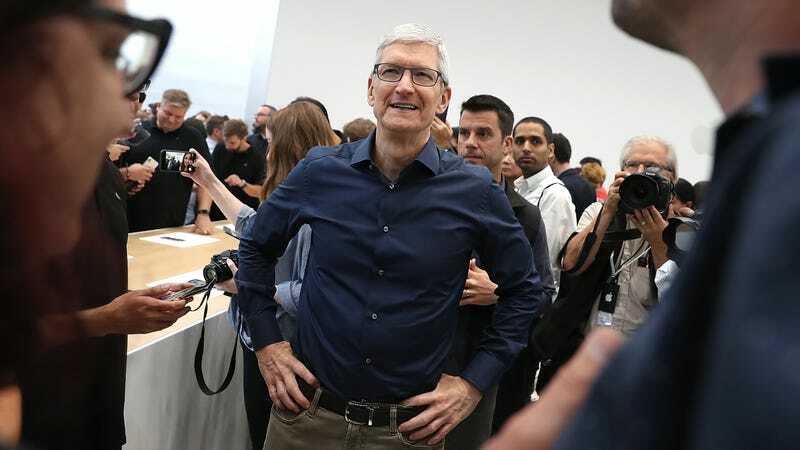 Cook, the CEO of a company valued at over a trillion dollars, has a habit of denying that Apple plays politics—and despite mountains of evidence to the contrary, that he doesn’t really either. It is fair to say that the company’s decision to deplatform Jones was inherently both a business decision and political statement, allowing Apple to position itself as taking a stance at the same time other companies like Facebook, YouTube, and Twitter were all seemingly worried about potential consequences and treading on eggshells on anything Infowars-related. But given that all of those companies took Apple’s move as an opportunity to finally just rip off the band-aid, and only consequences for Jones ensued, it is probably also fair to say that fear of some kind of backlash was a little exaggerated. Cook also defended Apple against accusations that its business in China could lead to it becoming a de facto partner to state censors, denying that government officials could more easily access user data stored in-country or that its encryption standards are any different there.